From Earth you can see the moon transform from a full face to a tiny sliver and back again. Venus, second planet from the sun, appears to go through comparable phases when observed through a telescope. The planet is often visible in the sky, yet its brightness varies. It was not until Galileo viewed Venus through a telescope in 1610 that the similarities between it and the moon became clear. 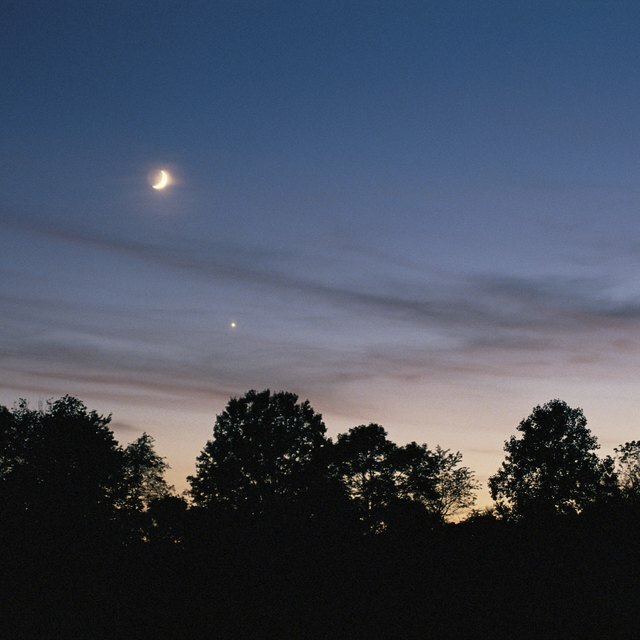 A moon or planet is visible in the sky because it reflects the sun's light. The half of Venus that faces the sun is always lit up. Venus moves around the sun inside Earth’s orbit. When Earth and Venus are close, the sun is on the other side of that planet. In that case, most of the lit side of Venus faces away from the Earth, so you see only a sliver shining. As Venus moves around the sun, you see more of the part of the planet facing the star. Venus seems to grow from a crescent to a semicircle. When Venus’s orbit is on the far side of the sun, you can see most of the surface that is reflecting light. The planet appears very bright and quite full. However, you can never see the entire full phase of Venus because the sun blocks it from your line of sight. Sherwood, Susan. "When Can You See Venus in Full Phase?" 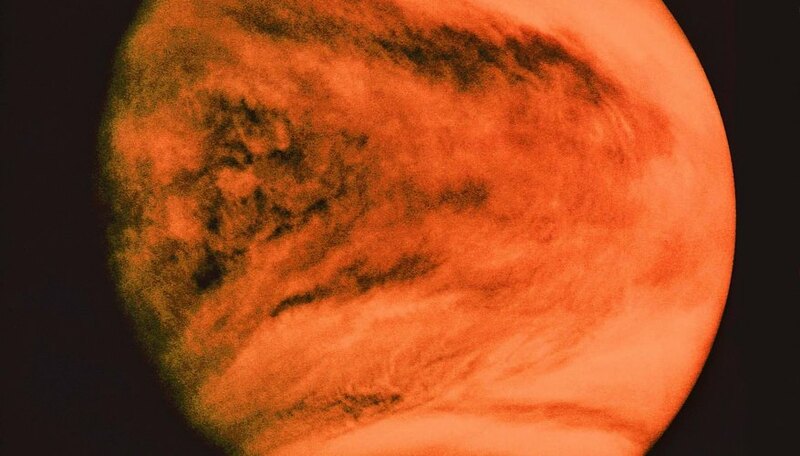 Sciencing, https://sciencing.com/can-see-venus-full-phase-20107.html. 24 April 2017.